On Wednesday we saw the Weis Market of Flanders. 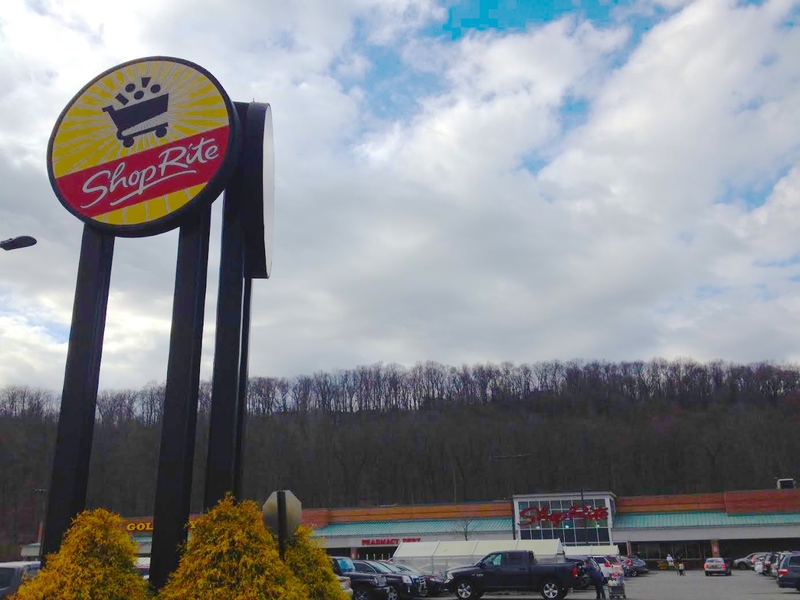 Today we're heading across the street to the former Weis, which opened in 1999 and closed in 2002, with ShopRite taking over later that year. The ShopRite is owned and operated by the Romano family under their business, RoNetco Supermarkets. We saw their Byram store last September. While Flanders does have some RoNetco touches, it's still a Weis in many ways. 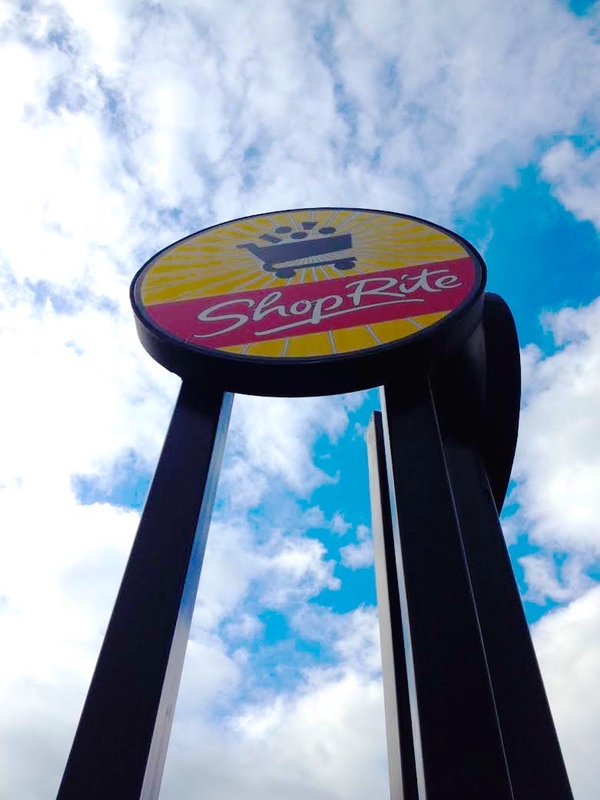 Or I should say, it's distinctly NOT a ShopRite. 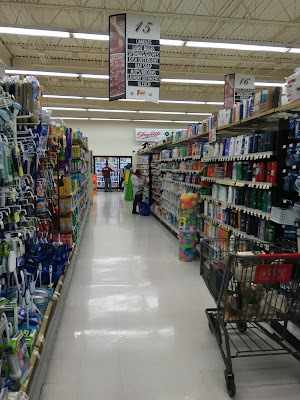 Every ShopRite has a certain feeling you get when you walk in, which you don't get in Flanders. That's not to say it's not a nice store. It is, but it's a little on the plain side. The outside is really nice, though. You enter through the glass tower. Then you make a sharp left turn to go past customer service and pharmacy on your left. Bakery is in the front left (from the photo above) corner, with deli/prepared foods in an island along the first aisle, and produce and seafood in the far back corner. In case you were wondering, yes, I did take advantage of that $0.39 donut sale. And yes, it was delicious! Above, looking back towards the entrance from bakery. The entrance is to the left above. Looking back towards bakery from produce. Looking towards deli from produce. The store continues behind the deli counter in the direction I'm facing above. Looking back towards the front wall. I'm not exactly sure what I was trying to take a picture of here! 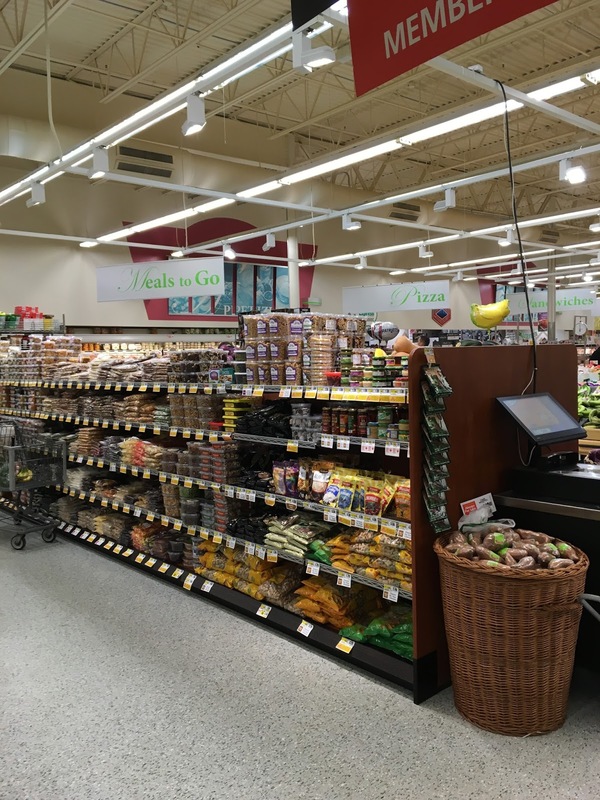 Looking towards the front of the store from produce. Deli is to the left, bakery is to the right. ShopRite recently moved the seafood to the back wall. It used to face the back wall from the island next to deli, like some Pathmarks. I don't know where Weis had it, although I'd guess on the island. 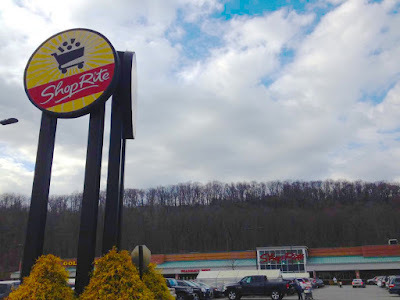 I don't believe ShopRite changed much of the layout around here. 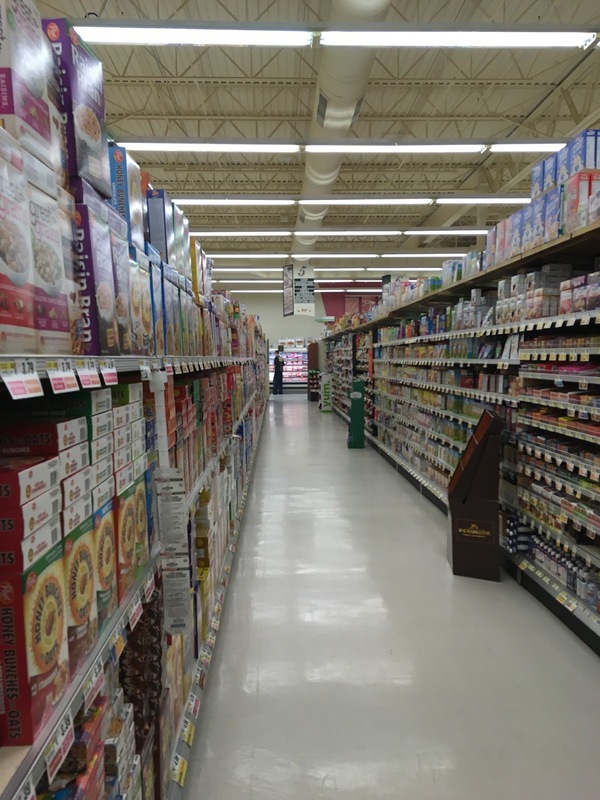 The first few aisles are HABA, then standard grocery. The dairy department, in the back corner, goes farther back than the meat department. . .
. . . and then continues down the last aisle. 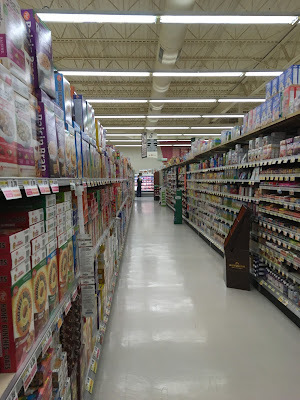 There are one and a half freezer aisles, both of which are way too wide. It's pleasant, but come on! In the front corner, there's a strange alcove with potato chips and some other random groceries. I've gotta think that Weis had something better to put in that space - maybe something like a bank branch? The front end was very crowded, as I was here on Super Bowl Sunday. However, the lines were not ridiculous, which was nice. This is the entrance (right) and exit (left). Heading outside . . . 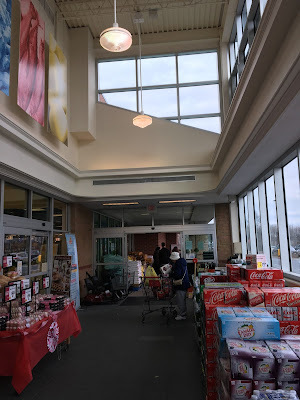 The Flanders ShopRite is really nice, but a little bland for my tastes. 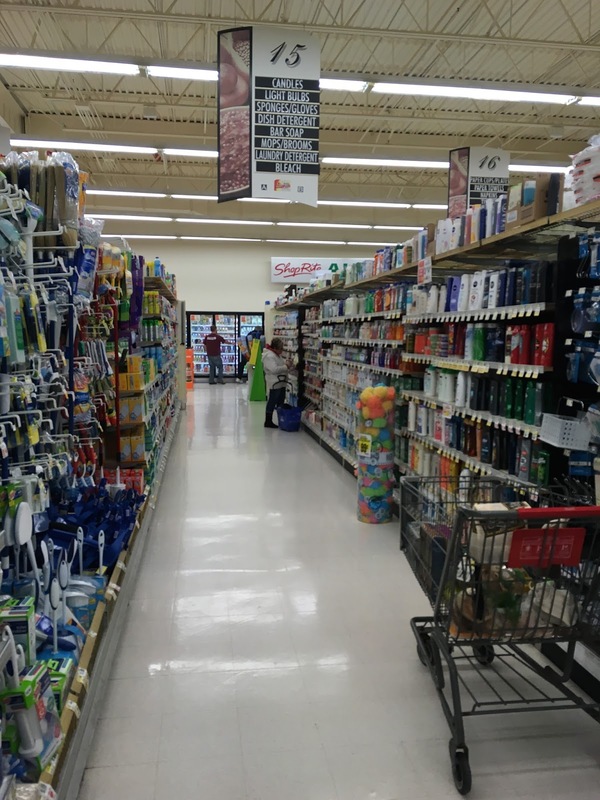 Its prices and selection are better than the nearby Weis, but it is generally more crowded. 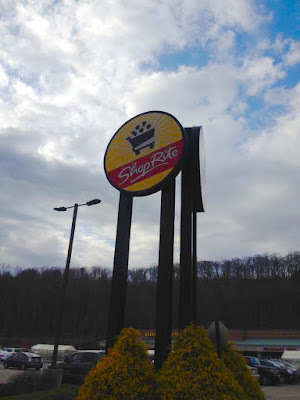 I'd be interested to know how much of the store is original to Weis, so all input (as always) is welcomed! Man, I was hoping that this SR had retained the late 90s/early 00s Weis decor, with the frosted glass, green white and red color scheme and pink cursive neon! Damn. And speaking from experience in the Mansfield Weis, the front alcove was typically a bread alcove, nothing like a bank branch or anything. Their recent remodels (including the Mansfield store) have pushed the breads out into the perimeter and the alcove became part of the back room are next to customer service, i think. Yes, I was hoping the same thing! And that makes sense about the front alcove. I think I remember seeing something like that in some of the Weis stores I've been to.